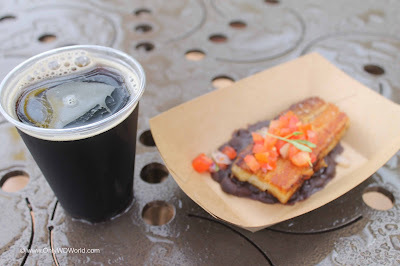 As shown on the menu board above the recommended food and drink pairing is the Crispy Pork Belly and the Xingu Black Beer, so we had to try it. The pork belly was good, but did not earn marks as one of our favorites of the F&W Festival We enjoyed the Black Beer which served as a nice departure from the hoppy IPAs. 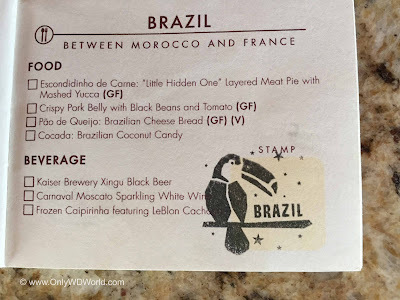 We got ours stamped at the Brazil Marketplace, how about you? 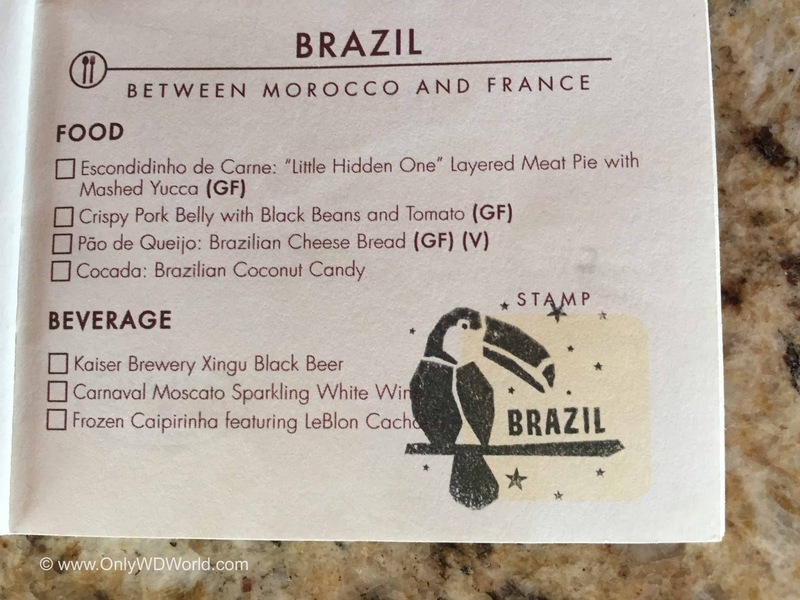 Post your Brazil Passport Stamp when you visit this year's Festival and leave your review of the food you tried! 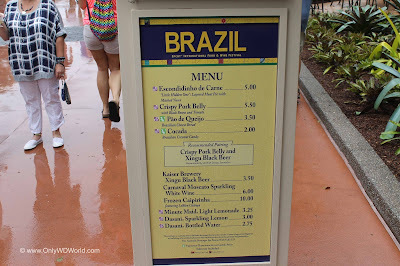 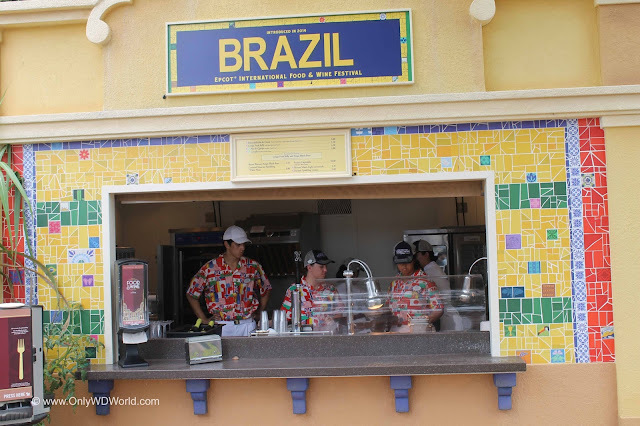 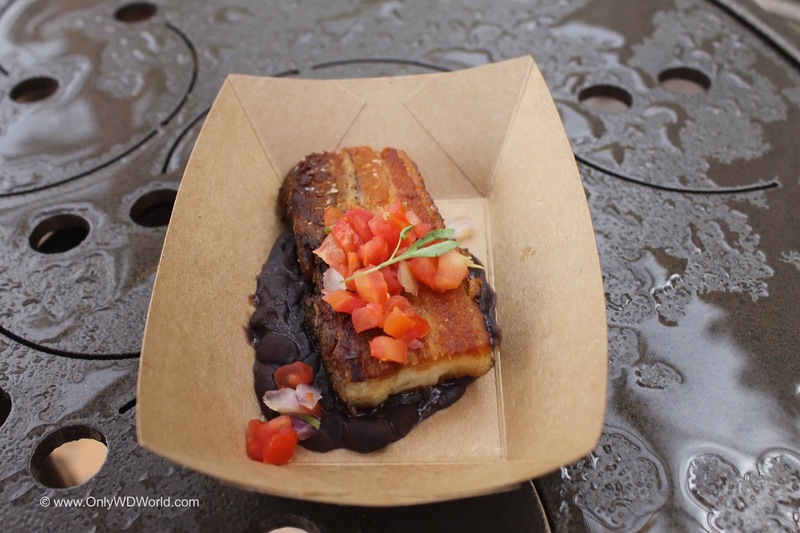 0 comments to "2016 Epcot Food & Wine Festival: Brazil Marketplace Preview"